Price - Currently reduced to £4,400 a pair! Pound for pound one of the best sounding full range speakers on the market. A full-grown 3-way speaker using state of the art components, built without compromises. The Divine is equipped with "Top of the Line" drivers as XTZ wanted to prove that it is possible to build speakers that do not have to cost a fortune even if it contains the most expensive components. XTZ Divine is built around the mid-range C173-T6-90 by Thiel & Partner (Accuton). The tweeter is a ceramic dome tweeter from German VISATON. Woofers are 10" units with aluminum cones from Norwegian Seas. XTZ Divine is prepared for fully active drive, but naturally it works very well with the regular passive filters as well. XTZ Divine 100.49 is the result of years of research and effort where the goal has always been to show that it is possible to make a loudspeaker in absolute world-class at a price no other manufacturer is even close to with these drivers. Yes, XTZ want to raise up the stakes a bit and have therefore selected the Thiel & Partner C173-T6-90, one of the hifi worlds better midrange drivers, which can be found in many highly respected high-end speakers. This was the starting point for developing the Divine speakers. 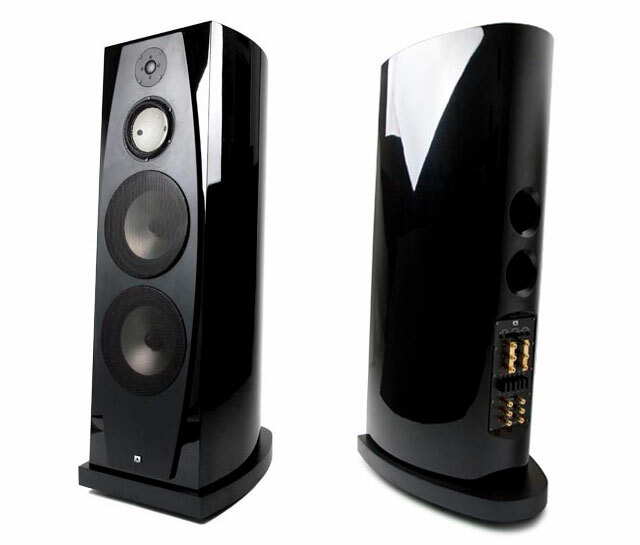 XTZ chose a ceramic tweeter, an absolute top class unit from German VISATON. For the bass, they knew from the beginning that they would use SEAS 10" units with aluminum cone, a proven reference class driver. The cabinet is designed with convex sides in order to minimize internal standing waves. It adds to the stability of the design which becomes much more rigid than the usual plain sides. It´s an extremely optimized design in everything from wall thickness, standing wave attenuation to inner volumes. The midrange is mounted in a V-shaped cavity to suppress internal resonances. The Divine speaker is equipped with XTZ's Room Tuning concept. The highly advanced crossover filter is equipped with our concept of adjustable levels for the drivers. 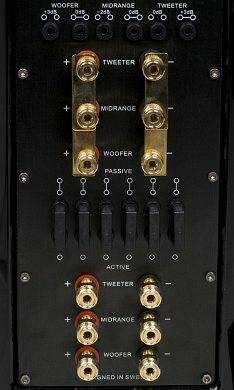 This way, the listener can "tweak" the character of the speaker to suit his particularlistening room and personal preference. For the Divine, we included adjustment options for all drivers. Further, the internal crossover filter sections can be individually bypassed to enable active drive for one or more drivers.